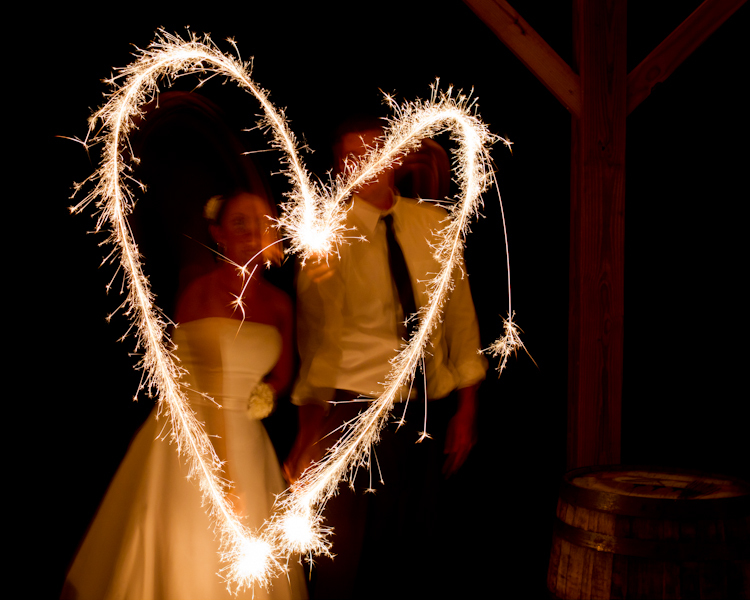 Wedding sparklers are a hot commodity for weddings and photos. 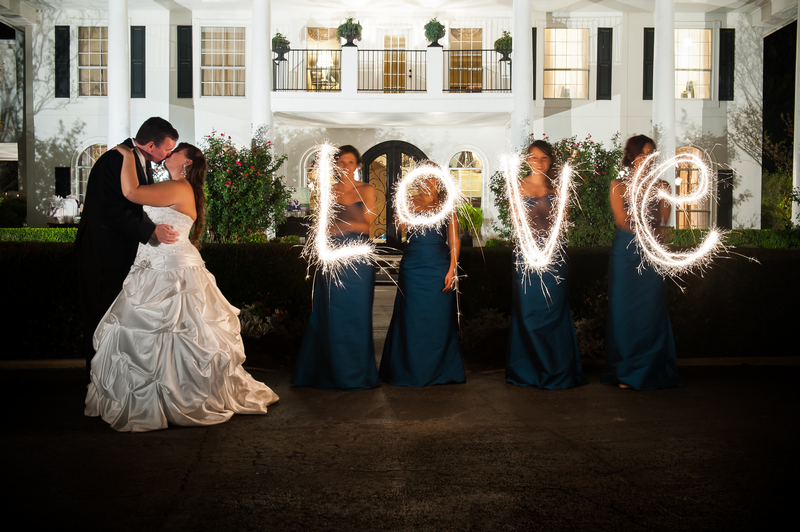 Sparklers are great for guest engagement, decoration, send-offs, celebration tools and props. 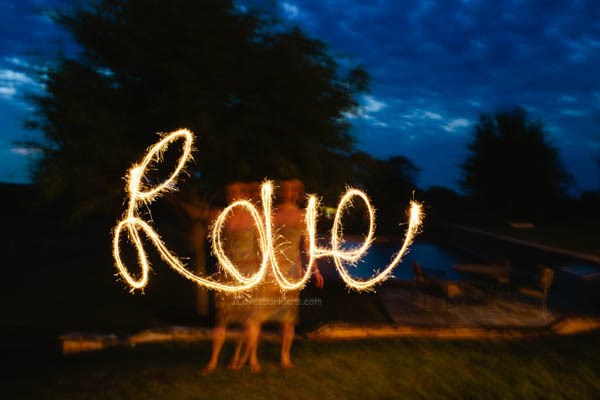 Wedding sparklers can also be used in photos as a tool to draw words, hearts, shapes and more. But how do you capture that moment? 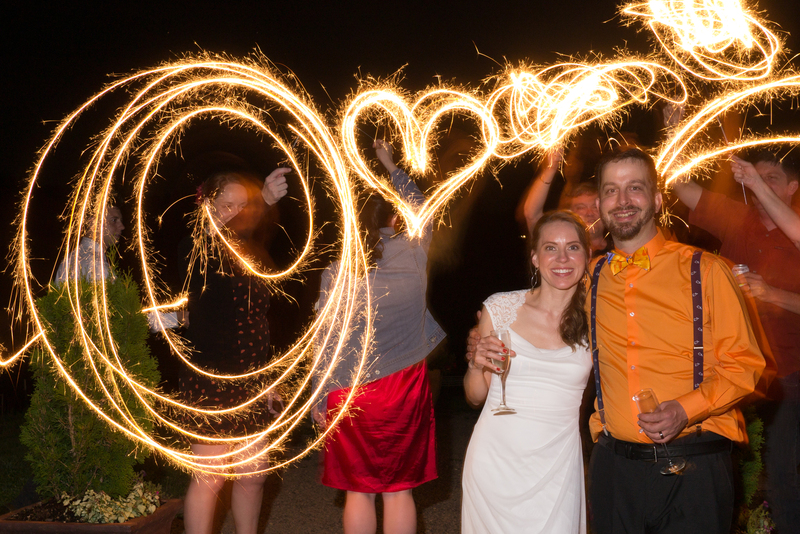 Step One: “Purchase Wedding Sparklers”: Purchase sparklers for your photos. Our advice? Purchase a pack. In order to capture the perfect photo you will need multiple sparklers to be sure you nail the drawing. Sparklers only last a few minutes, so if you have multiple photo ideas, having multiple sparklers on hand will be helpful. Step Two: “What do I do with the camera?” Place your camera on a tripod and make sure your photo idea is framed correctly. You will also want to be sure your flash is on. One flash should do the trick, depending on the lighting and exposure. Step Three: “Adjust your settings” Make sure your camera is set to a long shutter speed, your white balance is set for shade and a low ISO. (Your f-stop should be 5.6 and ISO should be around 100) Your shutter speed (very important) should be set to 8-25 seconds. These settings will assist the capture of the sparkler in motion! It takes between 15-25 seconds to capture the sparklers trail. 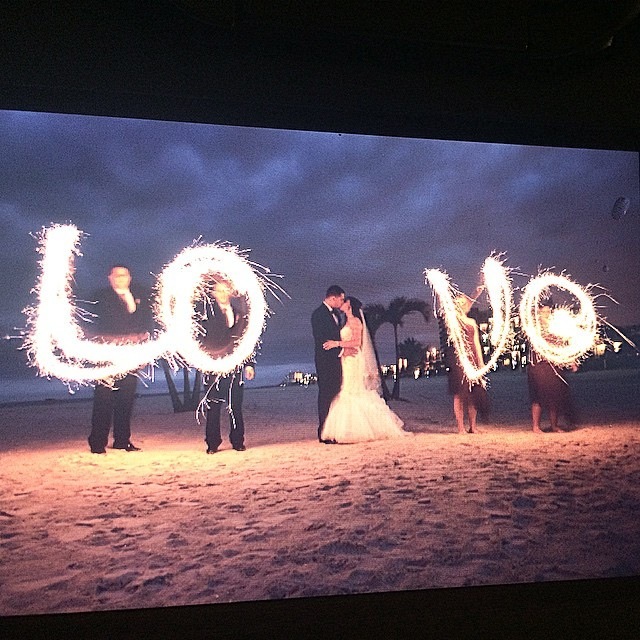 Wow your family and friends with your magical sparkler photos! They will be a great photo for your invites or save the dates. It will leave a lasting impression and dazzle your guests!